Is Canada Getting Its First Cannabis Beer?! On October 17, 2018, marijuana became legal in Canada. Although edibles aren’t legal yet, that isn’t stopping Province Brands, a Toronto based company who describes themselves as Canada’s first cannabis brewery. The idea of cannabis beer came from thinking, “can we create something that can serve the role that alcohol serves in our society?”. Jennifer Thomas, co-founder and chief legal officer of Province Brands, said the company’s patent-pending process allows their brewers to use cannabis in place of some of the traditional ingredients in brewing beer, such as barley and wheat. The result of this is a “beer” that produces a similar buzz to traditional beer, but is non-alcoholic, low in sugar, low in calories and gluten-free! 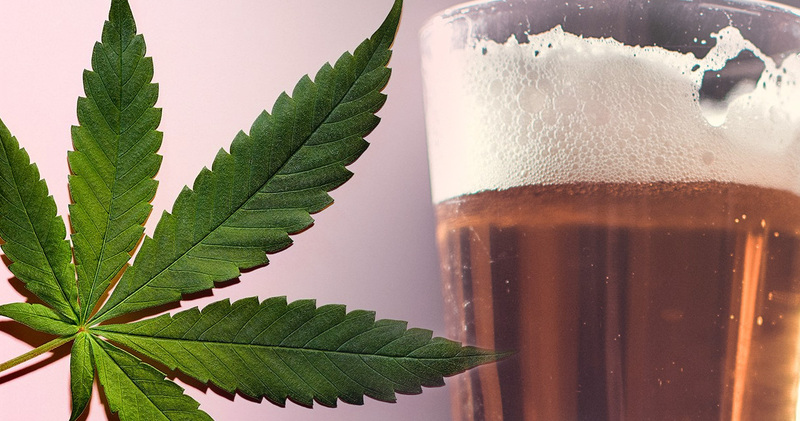 There are initiatives to infuse cannabis into beer, but other companies infuse cannabis into an existing non-alcoholic beer, rather than brewing with the drug. Province Brands says this method produces an inferior product. Does Cannabis Beer Taste Good? Province Brands did have initial doubts that marijuana could actually be brewed into beer. With the help of a chemist, Province Brands eventually landed on the right combination of hops, water, yeast – and cannabis. The flavour of the cannabis beer is said to be dry, savoury, and less sweet than a typical beer flavour. The high from the beer hits you very quickly, which is not common for a regular marijuana edible. So far the company’s experimental products have averaged about 6.5mg THC a beer. Province Brands hopes to one day expand to the point of challenging not only the cannabis industry, but also the traditional beer market.